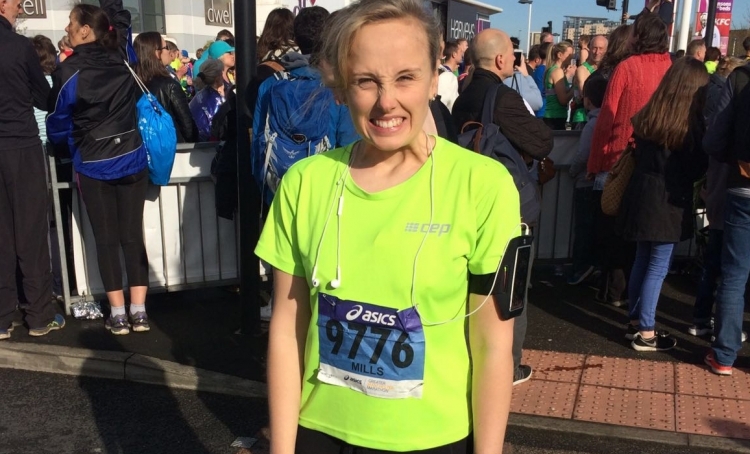 Alexandra ‘Ladybird’ Mills, the daughter of a long-time Christel House Europe supporter, Robin Mills, recently ran the Greater Manchester Marathon in support of Christel House. Here she shares the experience with us. “In October 2015 I finally bit the bullet and signed up to run the Greater Manchester Marathon 2016. I’d done plenty of half marathons, but always felt annoyed I wasn’t part of the ‘marathon club’. I decided if I was going to dedicate 5 months of my life to running, I might as well do it for a good cause – and what better cause than Christel House! Christel House has long been a charity close to our hearts. Our father, Robin, has supported Christel House from the outset after working with Christel DeHaan in the time share industry. My parents attended the Christel House South Africa Inauguration back in 2009 and the stories they returned with were so inspiring I knew I had to get involved. Training for the marathon wasn’t a smooth journey. I managed to get iller than I’ve ever been and had injuries galore, but every time I felt down I was reminded that in the grand scheme of things this was nothing in comparison to what the families and children that Christel and her team support each and every day go through. The support I received from the Christel House team along the way was just amazing and that’s what I think makes them stand out even more from other charities, their passion and devotion is simply incredible, I cannot thank them enough.